Peering through the Leupold scope, I could see my last shot was tucked nicely against the first two. I couldn’t help but smile as I got up from the shooting bench in my backyard and walked out into the pasture to retrieve the target. For almost forty years I had been trying off and on to find a specific rifle and cartridge combination, and now that I finally had it, it was proving to be an extremely accurate one. I had read about the Super Thirty when I was a kid, but had never actually known anyone who owned one. Better known as the .300 Holland & Holland, there were never very many of them that made it into the hands of hunters north of the 49th and by the time I actually held one in my hands, the .300 Winchester and Weatherby Magnums had already pushed the old Super Thirty into obscurity. My first exposure to the cartridge was a pre-’64 Model 70 in the hands of one of the first big-game hunters I guided on my first guiding job during the fall of 1976. 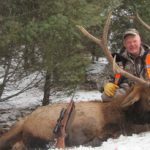 The hunter was a really nice chap from the Seattle area, and he had owned the rifle for several decades and used it to kill a large number of Roosevelt elk. Not surprisingly, at least to me, the hunter dropped his mountain goat with a well-placed shot at a couple of hundred yards and that was that. 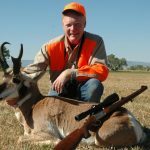 What else would you have expected from the combination of the Rifleman’s Rifle and the Super Thirty? To this day I can remember holding that rifle and cycling the action. 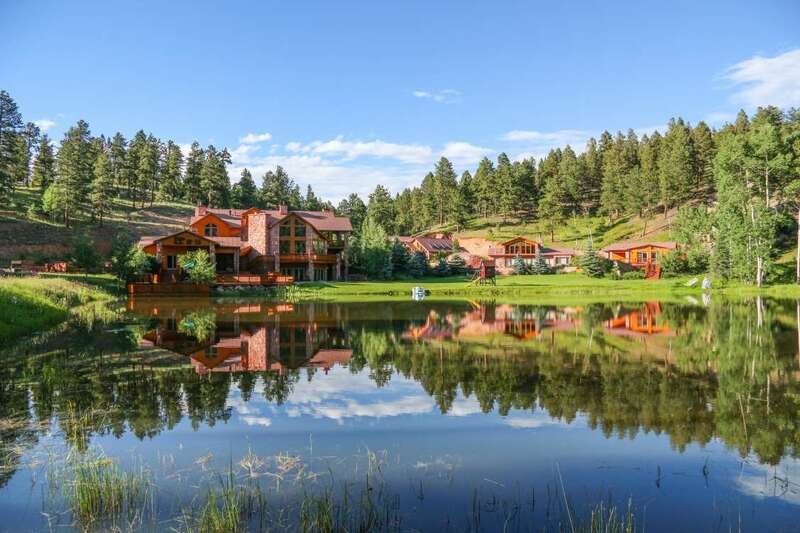 There was just something about it that left a lasting impression, and I made up my mind right there and then that I would some day own one. Little did I know that the combination of rifle and cartridge would prove to be an elusive goal for many years, for one reason or another. Designed by the famous British firm Holland & Holland around 1920, the .300 H&H Magnum was introduced to the market in 1925. It was based on the .375 Belted Rimless Nitro Express, which had been introduced in 1912 and became more affectionately known as the .375 H&H Magnum. The .375 case was necked down to .30 caliber, retaining the 2.850-inch-long case, but producing a sleek profile with a long sloping body and shoulder. H&H cartridges, as with many during that era, were quite long due to the use of Cordite as a propellant. Cordite was manufactured in long spaghetti-like sticks and was used in the UK until approximately 1915, when a shortage occurred as the Cordite was being used in munitions during World War I. The shortage forced UK ammunition manufacturers to look for an alternative and resulted in a switch to US-developed smokeless powders. 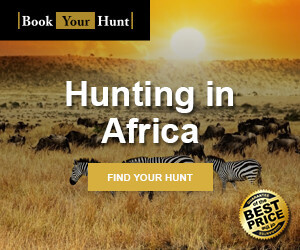 The .300 H&H is an excellent choice for a plains game hunt and is suitable for hunting most thin-skinned game around the globe. The long, sloping body and shoulder of their cases resulted in the incredibly smooth feeding of both the .375 and .300 H&H, and helped to ensure easy extraction during bad situations, such as the high pressure spikes that Cordite-loaded cartridges were susceptible to in hot weather. Since the big British cartridges were routinely used in India and Africa prior to the World War II, the British developed reduced “Tropical” loads for many cartridges to minimize the potential for problems due to pressure spikes. Head spacing and extraction in the early part of the twentieth century were usually obtained with a prominent “flanged” rim, but the Super .30’s parent cartridge’s rimless case head design would not provide positive head spacing with the long sloping shoulder. To fix this problem, H&H added a small belt at the case head on the .400 and .375 NE cartridges in 1904, and on the .375 H&H Magnum in 1912. The .375 and .300 H&H’s belted cases are generally credited with solidifying the term “belted magnum” in the minds of the shooting public. When H&H released the patent rights to the .375 and .300 cartridges during the later part of the 1920s, New York’s prestigious Griffin & Howe and a number of other custom gunmakers began to build rifles in these calibers. Despite this, the .300 H&H continued to fly under the radar in the USA because of limited availability and prices beyond what the average working schmuck could afford. But things changed rapidly after American shooter Ben Comfort used a Griffin & Howe .300 H&H Magnum built on an M1917 action to win the 1,000-yard Wimbledon Cup in 1935. The .300 H&H Magnum cartridge became the center of attention in the USA after the Wimbledon victory, and in 1937 Winchester began offering both the .300 and .375 H&H Magnum chamberings in its new Model 70 bolt action. Winchester was the first major firearms manufacturer to offer these cartridges to the general public in a quality rifle at affordable prices, and Western Cartridge Co. simultaneously began offering a number of loadings for the .300 H&H—loads that were eventually some 200 fps faster than the British ammunition. Originally, velocities for 150-, 180-, and 200-grain bullets were on the anemic side, listed as 3,000, 2,700, and 2,350 fps, respectively. Anyone who was using a .30-06 at the time would see little benefit in switching, as these velocities were about the same as those being achieved by commercial ammunition for the tried-and-true Springfield. 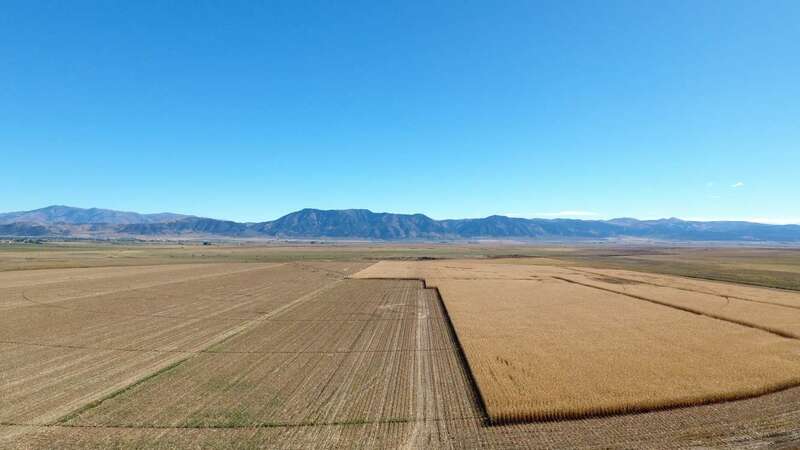 However, the .300 H&H received a significant boost in performance with the Western Cartridge Co.’s new commercial loads, a 180-grain bullet at a little over 3,000 fps and a 220-grain bullet at 2,700 fps. Remington and Winchester followed shortly thereafter with commercial loadings that also bested .30-06 velocities by a couple of hundred feet per second with respective bullet weights. For those in the know, the .300 H&H became the high-velocity magnum by which all others were judged for the next quarter of a century. Weatherby introduced the .300 Weatherby, which is a blown-out version of the .300 H&H case, in 1944. It was faster, claiming a 200 fps increase over the .300 H&H. 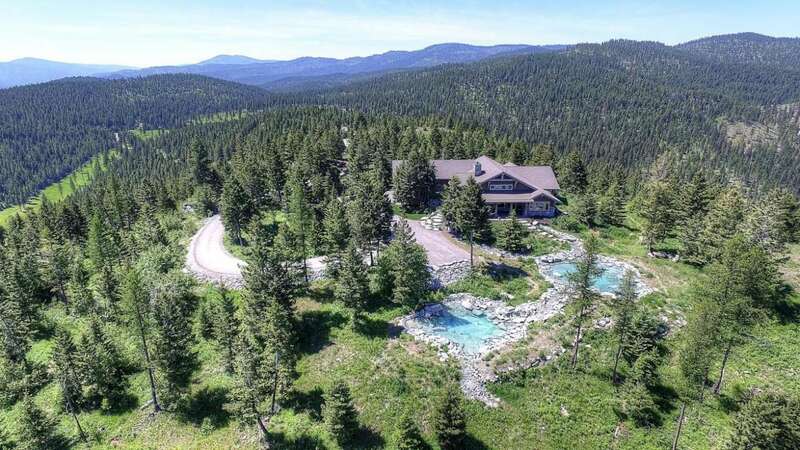 It didn’t, however, have much of an effect on the market share of the .300 H&H because it was also a proprietary cartridge and available only in expensive Weatherby rifles that were beyond the reach of the average shooter. Norma of Sweden developed the .308 Norma Magnum in 1960, yet another .30-caliber magnum based on the old H&H case. Although it offered similar velocities to the .300 H&H, it suffered from a lack of availability in rifles that were familiar to the American shooting public and consequently never really gained a lot of traction in the USA. Per capita, it was probably more common in Canada than the USA, as European firearm manufacturers such as Parker Hale and Husqvarna exported many rifles chambered in the Norma cartridge to Canada. 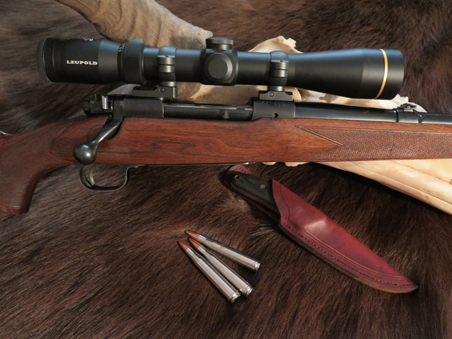 Even today, used rifles chambered in the .308 Norma are not that difficult to find in Canada. The fatal blow to the supremacy of the .300 H&H as the “go to” .30-caliber magnum occurred in 1963, when Winchester introduced the .300 Winchester Magnum. 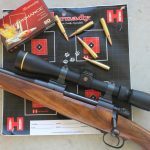 It was the last year that the now famous pre-’64 Model 70 was produced and, not surprisingly, Winchester dropped the .300 H&H from its list of chamberings in order to promote its new .300 magnum. Here again, Winchester’s new kid on the block was based on a shortened and blown-out .300 H&H case. Suddenly production of affordable factory rifles chambered in the Super .30 took a nosedive and, not surprisingly, the shorter .300 Winchester Magnum was an immediate success with the shooting public. 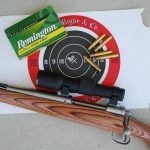 To make matters worse, the Remington Model 721, which was the only other recognizable American-made rifle that offered the .300 H&H chambering, had been discontinued in 1962. Anyone who wanted a .300 H&H now found themselves having to look for a used rifle or face the expense of having a custom rifle built, and why would you do that when the new .300 Winchester Magnum was so easy to lay your hands on? 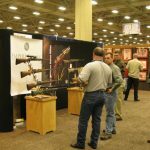 With the .300 H&H no longer being offered as a regular chambering in readily available commercially made rifles, it did not take long for the ammunition manufacturers to follow suit. For the most part, the .300 H&H became a handloader’s cartridge, and many shooters with rifles chambered in .300 H&H opted to have their rifles rechambered to one of the newer .30-caliber magnums for ease of operation. As it turned out, my first .300 H&H was a very used Remington 721 that I found in the consignment rack at a local store in the early 1980s. The Remington was probably a much rarer duck than a pre-’64 Model 70, but it simply did not have the rock-star status that the pre-’64s had at that point in time. Pre-’64 collectors were gobbling the good ones up and the more heavily used rifles were being bought up and torn apart to use the actions in custom builds. Finding ammunition or cases to reload was also quite a challenge at that time, but I managed to find enough to get going and soon realized the .300 H&H was not difficult to load for and it shot really well. I had no trouble getting 180-grain bullets to clip along at 3,000 fps, as verified by the chronograph that we rented from the local range back in those days. 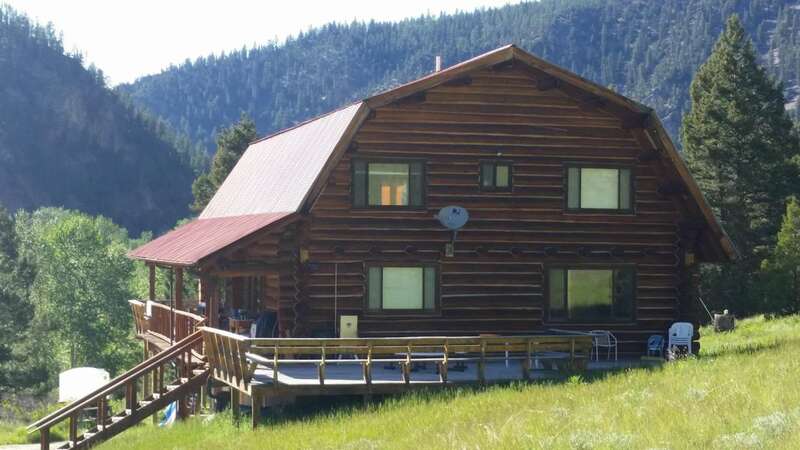 I packed that rifle around for several years and used to it to take several moose and elk, a few mule deer, and a couple of black bears. I had no complaints about the rifle or cartridge, but then a shiny Mark V in .300 Weatherby got my attention and I traded the old 721 off on the promise of even more velocity. I very much regret having done that, but I console myself with the knowledge that I just didn’t know any better at the time. In the post-’64 era, the people who collect rifles and refuse to alter them, as well as the few who enjoy the nostalgia of carrying an eminently useful rifle in a “defunct” cartridge, have kept the .300 H&H alive. There have been a couple of special limited runs by manufacturers of a model chambered for the Super .30, such as the Remington Model 700 Limited Edition Classic in 1983 and the Ruger No. 1S Kudu in 2008 and 2009. The Remington Limited Edition Classics show up once and a while listed on one of the online auction sites, but the Ruger No. 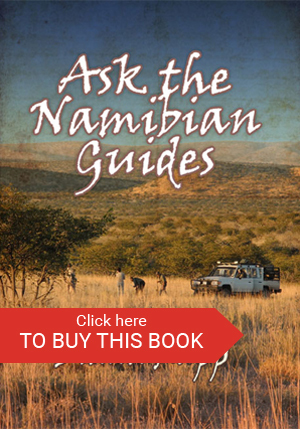 1S Kudu is primarily a collector’s edition and not easy to find. There were only 250 of the special edition No. 1 Kudu rifles in .300 H&H produced. 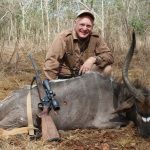 Ruger got together with Lipsey’s and Craig Boddington to produce a special five-rifle set, each in a different caliber appropriate for one of Mr. Boddington’s five favorite African big-game animals. Another limited run of Ruger No. 1s in .300 H&H was produced for Cabela’s 50th anniversary in 2011. Ammunition manufacturers have had on-again, off-again runs of .300 H&H ammunition over the years. Of course some of those coincided with the limited special production runs by the firearms manufacturers, but there have been others. Most of the big companies producing reloading components have offered .300 H&H brass over the years as well, so people with the old Super .30s have been able to keep them in the field without too much trouble. 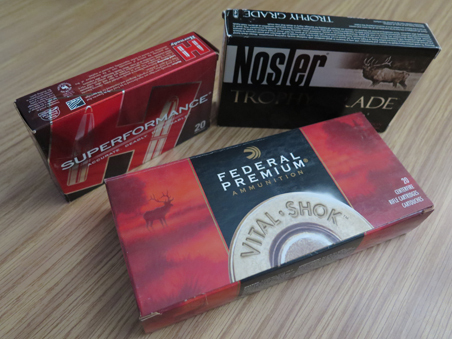 Currently, quality factory ammunition is offered by a number of companies, including Federal, Hornady, and Nosler. Hornady offers a single load with the 180-grain Interbond, while Federal offers three different 180-grain loads with the Trophy Bonded, Trophy Copper, and Nosler Partition. 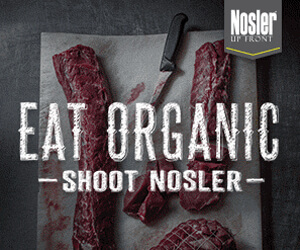 Nosler is the big surprise, though, with several different loads offered in both their Trophy Grade and Nosler Custom lines of ammunition: everything from the 150-grain Accubond to the 180-grain E-Tip and 200-grain Partition. Commercial ammunition for the Super Thirty is not difficult to find these days, with Federal, Hornady, and Nosler all offering high-quality factory loads. Over the last forty-five years I have spent a fair amount of time with the other .30-caliber magnums that were all based on the H&H case and can honestly say that I haven’t ever done anything with them that I couldn’t have accomplished with the old Super .30. I know there is a fleet of newer .30-caliber short mags and large case capacity ultra mags out there, but I just have never really felt the need for them. I have shot some of them, to be sure, but none of them has fallen into the short list of “keepers” for me. In recent years I dropped using a .300 magnum all together, relying instead on a .338 magnum of some description. But a couple years ago I began to get the itch for a big .30 again to fill that void in my gunroom. I decided to go back on the hunt for that pre-’64 Model 70 in .300 H&H that had eluded me in the past. It took a while to find one that fit my needs north of the border, as there just aren’t the numbers of pre-’64 rifles up here that you find in the Lower 48. Kids of my era, and even our parents, were much more likely to start out their hunting careers with an old sporterized .303 British on an Enfield action, a budget-priced Parker Hale, Husqvarna, or an old Savage Model 99 lever action. Very few people owned the Rifleman’s Rifle. I kept running into a couple of problems during my search. The first was that there were a lot of formerly .300 H&H pre-’64s that had been rechambered to .300 Weatherby at some point in their lives. There were even a couple I looked at whose current owners did not even know that the rifles had been rechambered. The second problem was that the rifles I liked tended to fit into the almost pristine collector grade and were out of my price league. Fortunately I found a gentleman with a nice pre-’64 that was in great condition, but not so nice that I would be reluctant to use it, and he was convinced he needed a .257 Weatherby I had that was collecting dust. So the trade was made, and for a change I think I may actually have come out on top. In short order I had a scope on the old Model 70 and I obtained a few boxes of Federal factory loads with 180-grain Nosler Partitons. I have no complaints about the old girl as she consistently groups inside of an inch with the Federal load, which averages just shy of 2,900 fps. Even more encouraging are the handloads I have developed using the 180-grain Nosler Accubonds and E-Tips. With a case full of RL 22, both produce groups under three-quarters of an inch with velocities just shy of 3,100 fps in the 26-inch barrel. 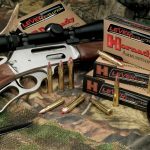 There are a number of powders that perform well in the .300 H&H, including RL 22 and 25, both Hodgdon’s and IMR’s 4350 and 4831, IMR 7828, W760, and Norma’s MRP, to name a few. 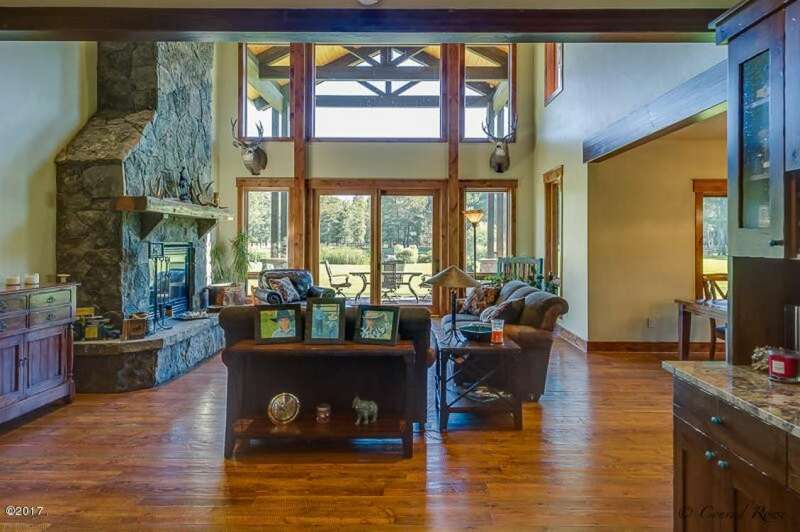 And as anyone knows, there is an almost endless supply of good .30-caliber bullets out there in a wide range of weights, with something to handle just about any job required. 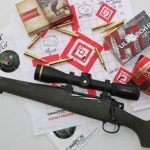 It is unlikely that the Super .30 is ever going to make a big comeback when current trends seem to be focused on ultra-high-velocity cartridges, really big scopes, and the desire to take big game at distances that would never have been considered in the past. But for those that want a .30-caliber magnum for what they were originally intended for—to produce the extra power and flatter trajectory needed to cleanly and ethically take big game at 100 to 150 yards beyond the reach of the venerable .30-06—well, the .300 H&H is as good as the rest of the cartridges that fall within those parameters. With the better factory loads and handloads, there is no real-world difference between the .300 H&H and its Norma, Winchester, or Weatherby offspring in both velocity and accuracy. There is no other .30-caliber magnum cartridge that feeds or extracts as smoothly and easily as the .300 H&H, something that actually has to be experienced to appreciate, especially for all of the shooters out there who have only ever known the sharp shoulders and short, fat cases that are so popular today. I have also found, and I have read the same sentiment expressed by writers in the past, that the recoil of the .300 H&H is not as sharp as that of the other .30-caliber magnums. This is no doubt due in part to the smooth acceleration curve during ignition in the long, tapered H&H case, and a little-known fact about the Super .30 that was mentioned in an article by Ken Waters years ago in his Pet Loads: The Super .30 is, on a ratio of powder charge to velocity, the most efficient of all .30-caliber magnums. The old Super .30 is a classic and eminently useful cartridge. For proof, look no further than the other outstanding cartridges that have been developed from it.